I have been blessed with a multitude of allergies. Seasonal allergies is a major component to my long list of allergies. Fortunately, I now take a daily allergy medication due to the other allergies. However, when certain plants are in bloom and the pollen count is high, my sinus congestion and headaches still take over my life... leaving me incredibly cranky and wiped out. I have tried tons of nasal sprays before, hoping and praying for relief. Every single time I try one, I get this awful feeling and smell/taste with an awful aftertaste. Then to top it off, my nose would get super dry and oftentimes lead to bloody noses. That's not fun at all! When I was provided the opportunity to try out XLEAR, I was a little nervous, but super excited at the same time. 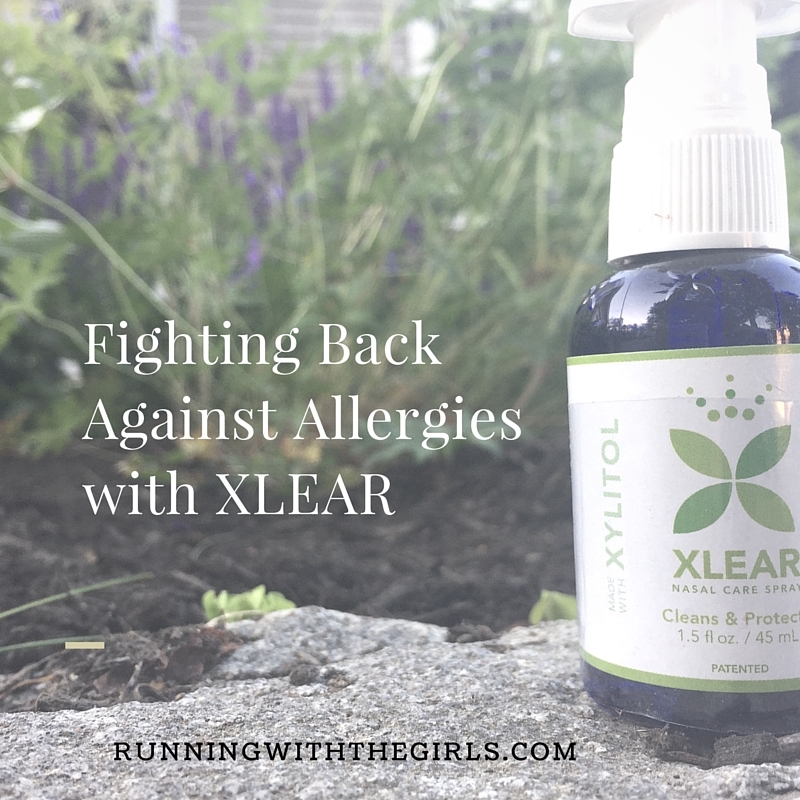 I've been using XLEAR for a few weeks now, during peak allergy season and I'm loving how it clears my nasal passages in the morning and afternoon.... or anytime I feel a bit congested. The "taste" is rather sweet and actually kinda pleasing. I find I spit a lot after using it, perhaps because I'm clearing out my nasal passages... which I'm happy with too. Got Pollen? That's what my car looks like 1 day after a carwash. That is why my head feels like it's going to explode... even with allergy medication. 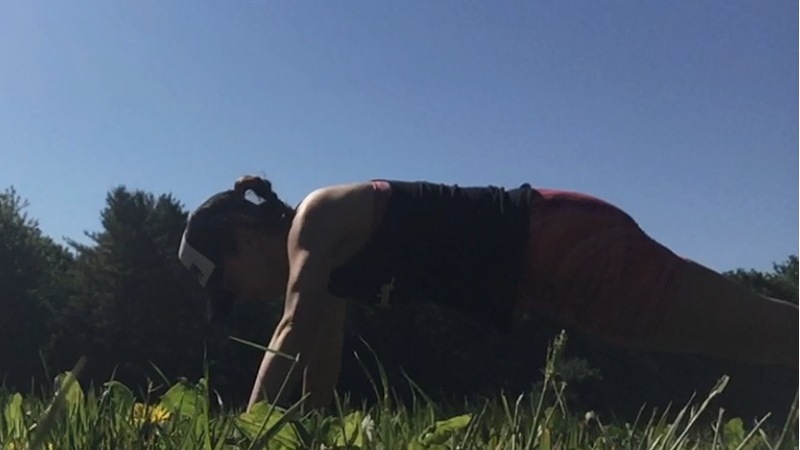 Normally, putting my face in the grass to do pushups would send me over the edge... yeah... not right now! Yay!!! And a run during peak allergy season? It would be horrible. But again, super clear nasal passages. I'll also add, I have a bit of a head cold going on right now... that is also messing with my nasal passage congestion. Having XLEAR to clear me out, helps me function a lot better. It's not a cure, but it's a higher functioning Jen right now. I'm not to be held back by my allergies... I'm actually fighting back against them with XLEAR to breath easier and have a lot less of a congestion headache. The "secret" ingredient is the patented, natural saline spray that contains xylitol.... which actually cleanses and moisturizes, rather than dry out. This helps you breathe easier! I'll take it! disclaimer: I was sent a bottle through my affiliation with Women's Health Magazine. I was not required to post a positive review. As always, all opinions expressed on my blog are 100% my own. Here I Go! Only One Hill! I'm FREAKING excited!